Brown leather shoes of a slip-on style with a narrow oval toe and pronounced left/right shaping. The sole may also be of leather, and a possible wooden heel tacked with a several small nails. The shoes are turnshoe construction and most likely made for indoor wear, but the iron cut nails around the heels and the wear patterns indicate that they were worn outdoors. Pair of men's shoes found in the Colony House, November 2013. 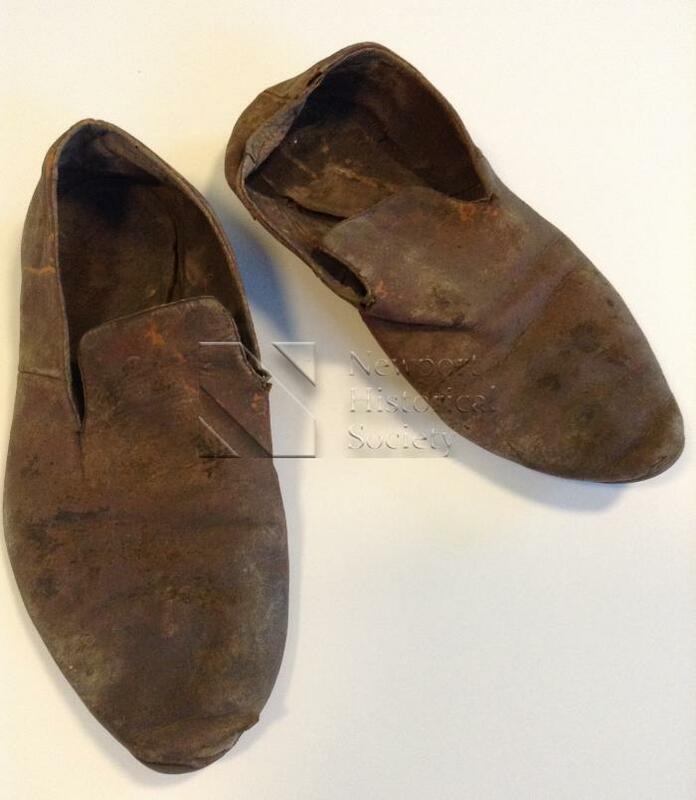 The shoes were discovered in the upstairs chambers under the floorboards while a renovation was taking place.